Sunday Lunch at The Oxford Symposium on Food & Cookery. 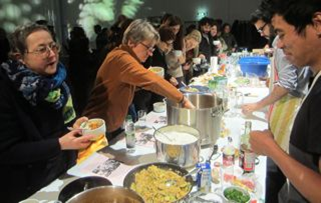 “For Sunday’s Leftover Lunch at the Oxford Symposium,” says performance artist Joseph Patricio, “I transpose the sense of immediacy that takes place in the closing moments of any market-place – whether in Istanbul or Madrid or Oxford – with a ritual that celebrates the many ways in which food unconsumed and saved throughout the weekend of the Symposium can be reborn in the form of delicious dishes to give pleasure to all. Joseph Patricio – friends call him Pepe – is a performance artist and social ethnographer born in Manila in 1981 and currently based in Berlin and Madrid. Since 2012, Pepe has been creating situations designed to investigate the meaning of social interaction in contemporary rituals, delivering performances in Madrid, Berlin, Bilbao, Asturias, Rio de Janeiro and Munich. To produce these rituals, he uses ‘old’ and ‘used’ objects such as food-leftovers, mementos and already-owned clothing placed in ordinary contexts which lead to extraordinary incidents, serendipitous happenings and the weaving-together of connections. 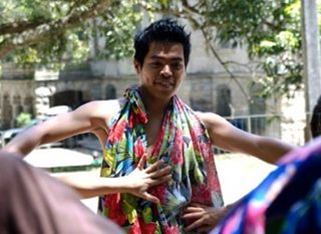 From 2003 to 2010 he worked as a dance-performer and researcher of rituals and oral traditions in the Philippines. Awarded a master’s degree in International Performance Research from the Universities of Warwick and Amsterdam, and in the Performing Arts and Visual Culture from the National Museum of Reina Sofia in Madrid, Pepe loves to cook and to dance. For more information, go to http://nowherekitchen.com/food-left. 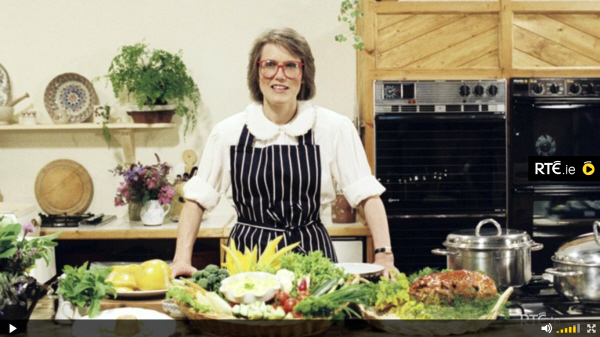 And our Friday evening speaker is the great Darina Allen – author, tv presenter, teacher and founding-mother of Ireland’s farmers’ market movement. She’ll be with us on the evening of 11th July, along with Trustees – and courtesy of – The Jane Grigson Memorial Trust. Born in 1951, Darina has written around a dozen cookbooks and has presented the nineth series of her own tv programme, Simply Delicious. 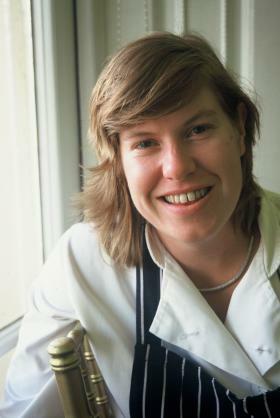 In 1983, she established the Ballymaloe Cookery School in Shanagarry, County Cork, with her brother, Rory O’Connell, after coming to Ballymaloe to join Myrtle Allen, undisputed grande dame of Irish gastronomy, as her daughter-in-law. A graduate of hotel management in Dublin, she was an early champion of organic, seasonal and local and is Ireland’s representive on Council at the Slow Food Movement in Turin. When not teaching, she practices what she preaches on her own organic farm, and chairs the Midleton Farmer’s Market. She is the moving force behind the network of farmers’ markets in the Cork area and runs a programme for local primary schools to help children learn about food from garden to plate. Award-winning cookbooks include 30 Years at Ballymaloe (Irish Book Awards 2013); Forgotten Skills (André Simon, 2010); and the best-selling series from Simply Delicious. A passionate and committed teacher, recent awards include Good Food Ireland’s Cookery School of the Year 2012/2013 and IACP Cooking Teacher of the Year in 2005. As member of the Taste Council of the Irish Food Board, Chair of Ireland’s Artisan Food Forum of Food Safety, Trustee of Irish Organic Centre and Patron of Irish Seedsavers, Darina has plenty of practical experience to share with us on what it takes to bring food to market. In 2013, Darina helped establish the Ballymaloe Literary Festival of Food and Wine, an international gathering of food-writers and chefs designed to share expertise and expand understanding of her favourite subject, bringing together all the strands of her life’s work.